Geeta Subramanium is a historian by training deeply interested in ancient Indian temple architecture and architecture of the western world. She truly believes that architecture reveals the quintessence of civilizations. It is the truest record of life as it was and is lived. During the course of her study she was introduced to the ancient Indian science of Vastu, an invaluable treasure given to us by our venerable sages. Vastu aims at providing positive cosmic energies in human habitations. It creates a synergy between human beings and the pranic energy of the universe. A positive relationship is established between the microcosm represented by humans and the macrocosm represented by the universe. Vastu has the ability to change a human’s cosmic path and guide him or her to stability and success. Geeta Subramanium is today a renowned Vastu consultant and considers herself privileged to have advised several people about Vastu problems in their homes and place of work and to have brought happiness and prosperity into their lives. Her website www.thevastupractice.com gives an insight into the depth of her knowledge. 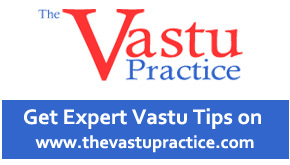 Do click on this website to read about Vastu in detail and to get valuable Vastu tips. 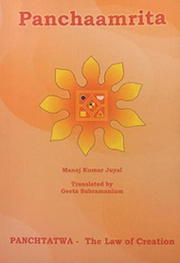 Geeta has translated “Panchaamrita” a book written by her mentor Shri Manoj Juyal, from Hindi and Sanskrit to English. Her other interests include food, art, travel and gardening. Apart from Vastu, cooking is her other passion because she believes that food is a profound means of communication between family and friends and plays a vital role in preserving human relationships. She has started a project to catalogue traditional recipes from all over India that are in danger of being forgotten. 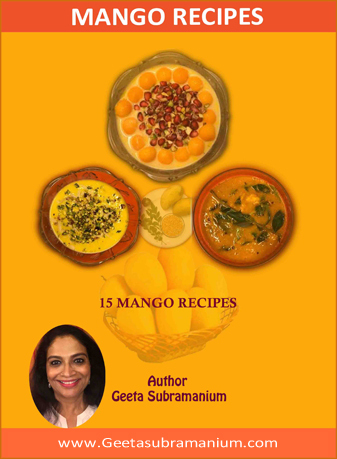 She recently published an e-book on 15 traditional mango recipes called “Mango Recipes” that has been very well received.